MPG-o-Matic Saturn Astra Review Summary: Available in both three-door and five-door models, the Saturn Astra competes with the Mini Cooper, Volkswagen Rabbit, Toyota Yaris, Mazda3, and Volvo C30 among others in the red hot hatchback market. Under the hood, the 2008 Astra is fitted with an Ecotec 1.8 liter four cylinder engine producing 138 horsepower and 125 foot pounds of torque. While European design details abound in the Astra, the power plant is decidedly domestic. Among its distinctive design features, the simple yet elegant dashboard, enormous sunroof, and switchblade-like ignition key set the Astra apart from the crowd. The EPA gas mileage estimates for the 2008 Saturn Astra are 24 city / 32 highway miles per gallon (MPG) when equipped with an automatic transmission. Over a week of driving, we were able to exceed the estimates, achieving 33.6 MPG on the highway and 28.1 MPG combined. The Astra provides excellent handling, but its lack of low-end power is a shortcoming, particularly when fitted with the automatic transmission. The key to optimum gas mileage is presented front and center. The Astra’s on board computer shares its orange monochrome LCD with the sound system allowing you to maximize fuel efficiency with a pair of trip meters and an instant consumption gauge. Keep an eye on the Astra’s instant consumption gauge while driving with forethought and you’ll soon achieve those (formerly) elusive high mileage figures. While the Astra may be lacking in straight line performance, it shines on twisty back roads, where it is a sheer joy to drive. The optional sport suspension package and low profile Michelin tires provide an abundance of grip as the Astra moves effortlessly through the twisties. It’s easy to see why the German-designed, Belgian-built Astra is one of the best-selling cars in Europe, where it is marketed as both an Opel and a Vauxhall. The handling is clearly a notch above much of the competition. We’d love to see the Astra become a huge success here in the States. But given the times in which we live, it will take a radical move from General Motors to fit the right power plant under the hood. Simply bolting in a more powerful but more thirsty turbocharged gasoline engine will only serve to entice the purely performance oriented. For the sake of all, GM needs to bring a high-MPG version of the Astra here ASAP. When mated to a manual transmission in the European Astra Sport Hatch SRi, GM’s CDTI common rail diesel engine produces 0-60 times of 8.3 seconds with 150 HP and 320 Newton meters of torque (roughly 236 foot pounds). But it’s the fuel economy figures that are the big story with the Euro diesel Astra. In the UK, the Astra Sport Hatch SRi is rated at 39.2 urban / 60.1 extra-urban. That equates to roughly 32.6 city / 50 highway here in the United States. How many of those could Saturn sell? What are we waiting on ?. 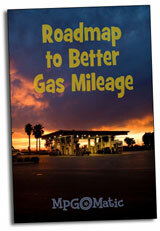 We need the highest mileage fuel vehicle we can get. Now a days, you have to be first-there’s no time to let the competition get the edge.